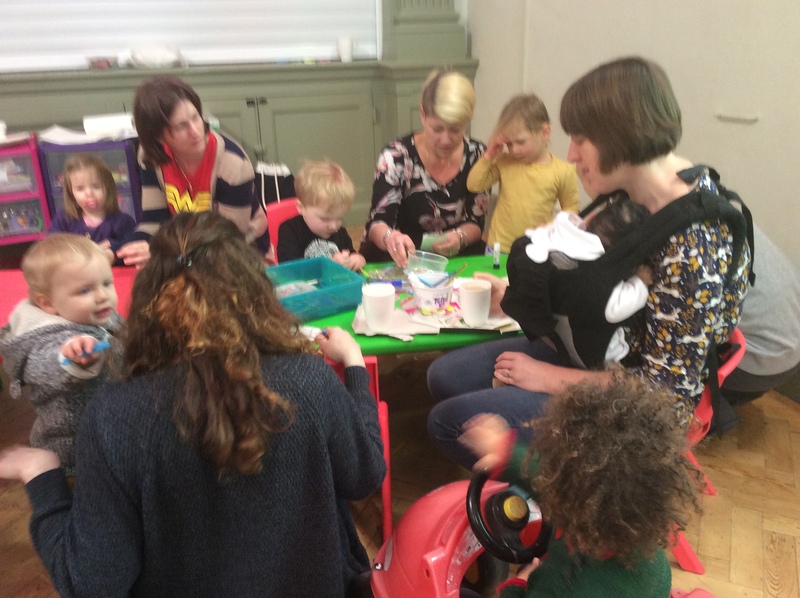 Plenty of fun for mums at Tiddlywinks. 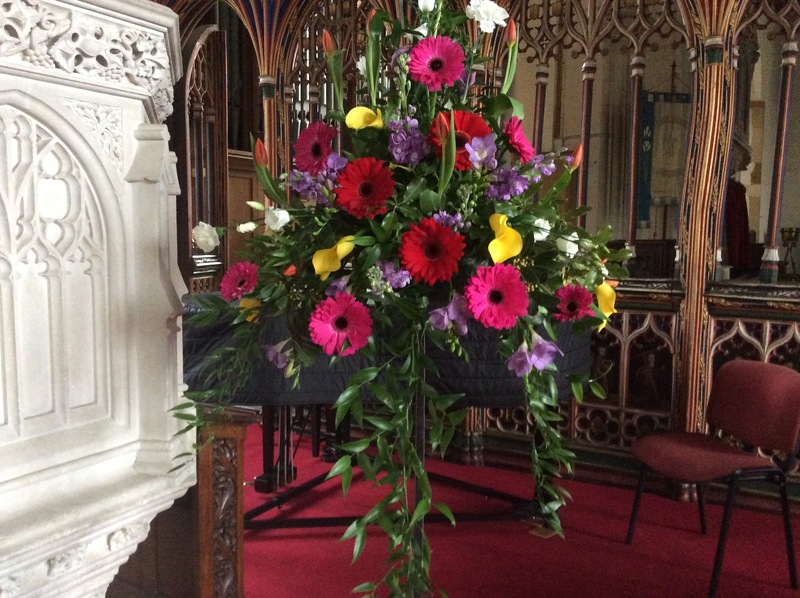 Do come and join us — every 1st and 3rd Wednesday, 9.30 to 11.30 in St Disen’s Hall. To celebrate Easter, St Disens is holding an Eggstravaganza on Saturday, 31st March from 2.00-4.00pm. There will be games, crafts, food, history, music and an Egg Hunt at 3.00pm. And hopefully the tower will be open too. 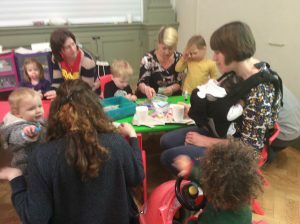 Great fun for everyone. Congratulations to Helen and Peter who were married in St Disen’s on 10th March. 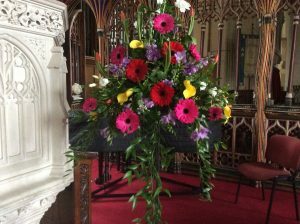 The church looked lovely, with wonderful, coloured flowers and thankfully dried out after all the stirling work following the roof leaks. 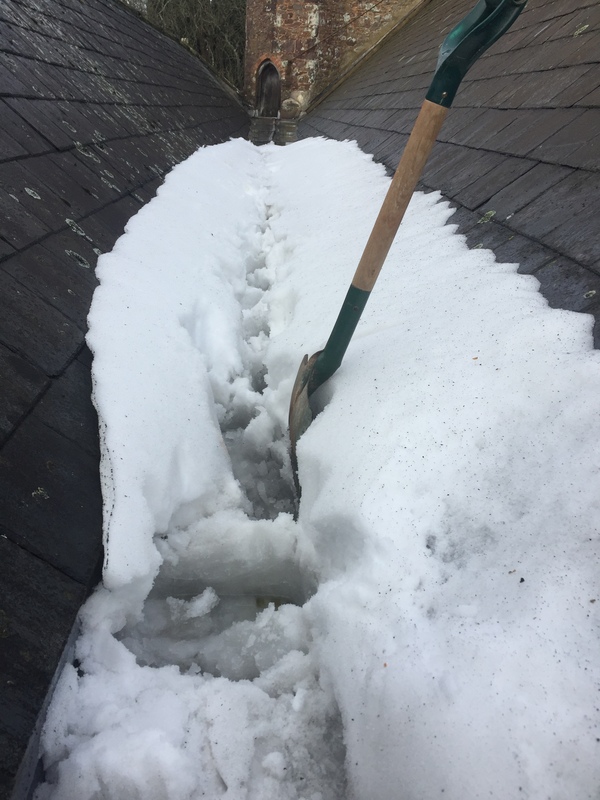 Following the heavy snowfall at the end of February, the north and south gullies on the church roof became clogged with snow. With the thaw beginning on March 3rd, the melt water had no escape except downwards into church! Many gallons of water soaked the south and north aisles, the carpets, pew runners and the floors between the pews. Fortunately, there was no damage to the chancel, the rood screen or the piano. The only way of stopping the downpour was to dig away and dispose of the snow in the gullies. 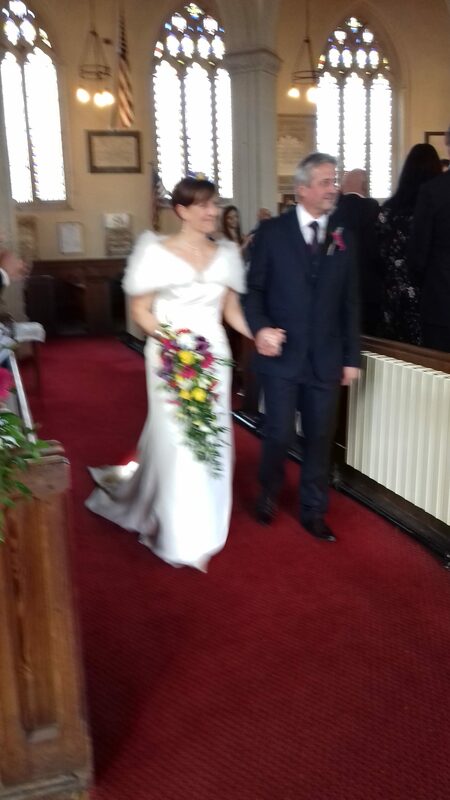 Many, many thanks are due to Colin and Paul Crispin for completing this Herculanian task! The Sunday morning communion service had to be held in St Disen’s Hall—- different, but actually very lovely. A combination of an overworked VAX machine, constant heating and a hired de-humidifier means that everything is now almost back to normal. Many thanks to everyone who helped in moving furniture and lifting carpets, and especially to Jill and David for their sterling work with the VAX!